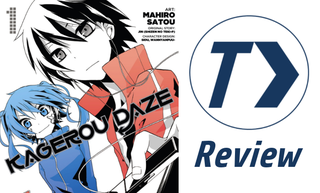 Today’s selection of articles from Kotaku’s reader-run community: Manga Reviews - Kagerou Daze Vol. Today’s selection of articles from Kotaku’s reader-run community: Manga Reviews - Kagerou Daze Vol. 1, Ayako, 5 Centimeters per Second • The Rise of Asymmetrical Gaming (Finale) • What The Order: 1886 Is • Journey Into the Center of Anime (and Myself) • Will Videogames Improve When the Machines Take Over?